The Pearl café team would like you to join with us to celebrate the reason we all live and work on this beautiful Island by trying our entry! ‘IOW Day Croque Monsieur’. 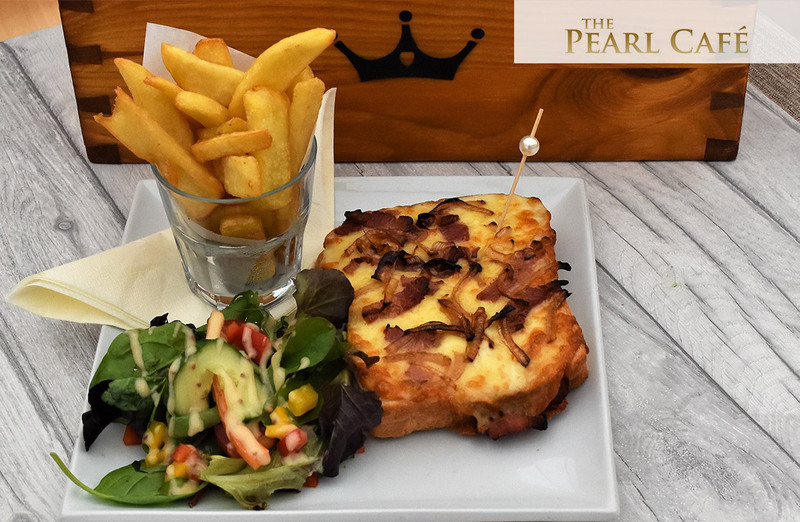 A IOW Day twist on a firm favourite here at the Pearl Café. Served with chips & garnish.